Various aspects of the Eastern European transition have been extensively researched over the past 15 years. Only recently, studies of democratization have begun to specifically recognize and reflect the context of the information age in which they are taking place. This claim particularly applies to the late and ongoing transitions in the Western Balkans along the new borders of Europe. 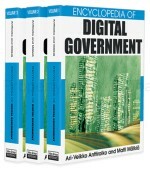 The least researched aspect of their democratization refers to the modernization of their civil service, particularly through the lenses of the informatization (Frissen, Bekkers, Brussaard, Snellen, & Wolters, 1992) of their administrations and development of e-government as an important element of transparent governance. This is a gradual and uneven development, yet it initiates institutional change toward having friendlier administrations that were hardly conceived at the beginning of the transition.